The multidrug resistance protein 2 (MRP2; ABCC2) is an ATP-dependent export pump playing an important role in detoxification and chemoprotection. Human MRP2 is predominantly expressed at the apical membrane of hepatocytes, where it facilitates the elimination of a wide range of compounds, especially conjugates of lipophilic substances. In addition, MRP2 can transport uncharged compounds in cotransport with glutathione, and thus can modulate the pharmacokinetics of many drugs. 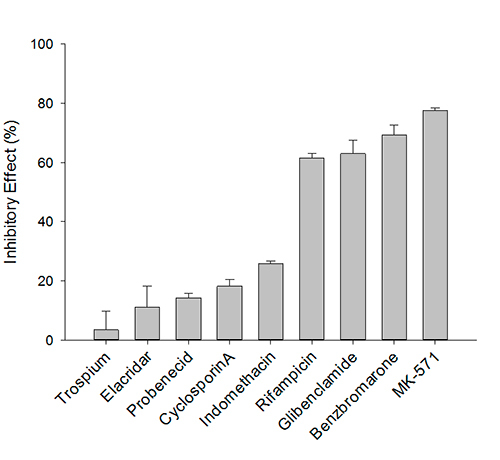 The excretion of xenobiotic compounds decreases the efficiency of many drugs and a high MRP2 expression in cancer cells can be the reason for multidrug resistance.